As a college freshmen, I spent much more time squatting on the floor with my laptop than sitting at a library. My awkward class schedule taught me--rather painfully--the importance of finding "local" study spots within buildings. When a library is 15 minutes away, who wouldn't want to send the next 30 minutes before class at a quiet hallway just around the corner? 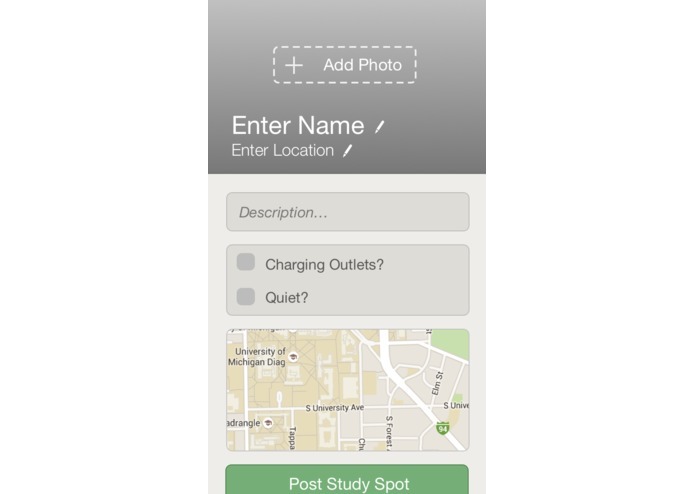 It allows users to upload study spots, and then stores it into the Parse data base. 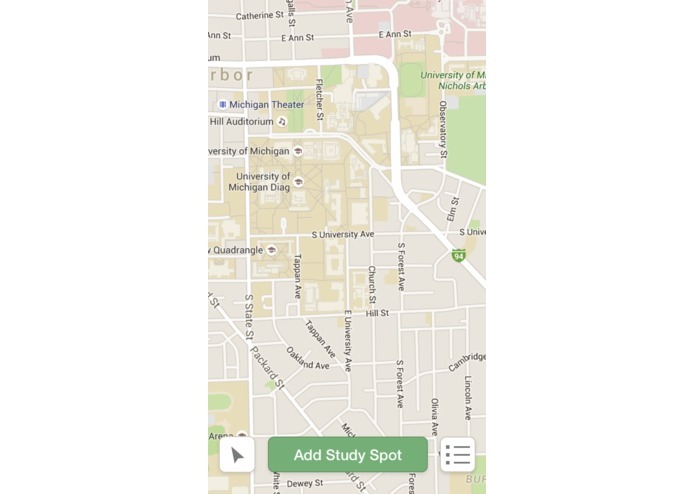 When users click Find, we go through the database and find study spots that are a mile near it. Our team was entirely new to Parse and we took a long time trying to figure out the syntax. It was difficult to combine aspects of design with the scripting code, plus not everyone on our team was experienced with HTML. We figured out Parse even when we couldn't find any mentors! We initially wanted to change our idea because we thought it was too hard, but we decided to push through together and finish. Docs can be complex to read, but it's worth taking the time to learn how to. It's hard to build things in unfamiliar languages, but the situation forces you to respond quickly and do whatever you can to understand. 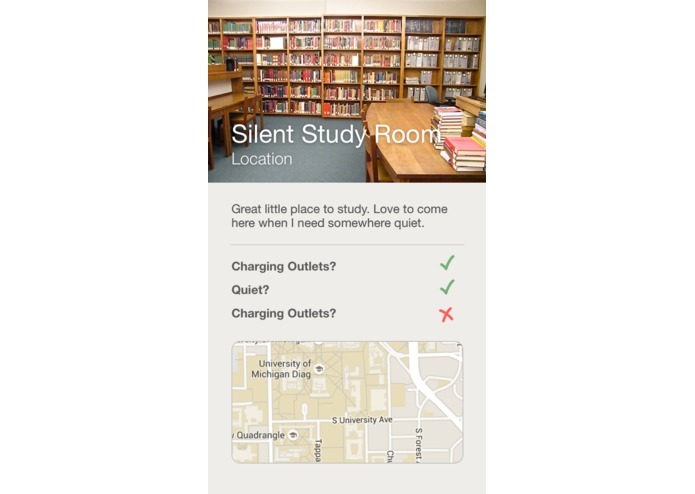 Hopefully user profiles, limitation to university campuses, and a whole ton of user involvement to uncover every nook and cranny in the school suitable for studying! 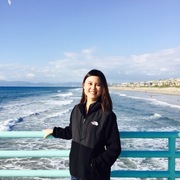 EECS student at UC Berkeley. Loves health + technology, wellness, and double shots of espresso on ice.